Judson Roberts' first volume in the Strongbow saga is an appropriate follow-up to my photos of thrall archers. The Norse, like most Medieval societies, were heavily stratified, but not entirely inflexible. Slavery endured longer in the lands of the north, having given way to serfdom much centuries earlier in the Christian kingdoms of Western Europe. Furthermore, the Vikings developed a thriving slave trade. Slavery was not intensive as in Sparta or the Antebellum American South, but slaves were a tradeable commodity. Viking raids took Irish, Saxon and Frankish slaves to work farmsteads in Iceland, Norway and Denmark and on to eastern markets in Baghdad and Constantinople. The Viking sagas give a detailed look at the workings of Norse society, including the role of slaves. However, with few exceptions, slaves in the sagas are depicted as dumb, cowardly and untrustworthy. Such would be the opinion of the warrior elite whose perspective dominates the sagas. After all, with such low qualities thought the masters, the slaves then deserve their lot in life. 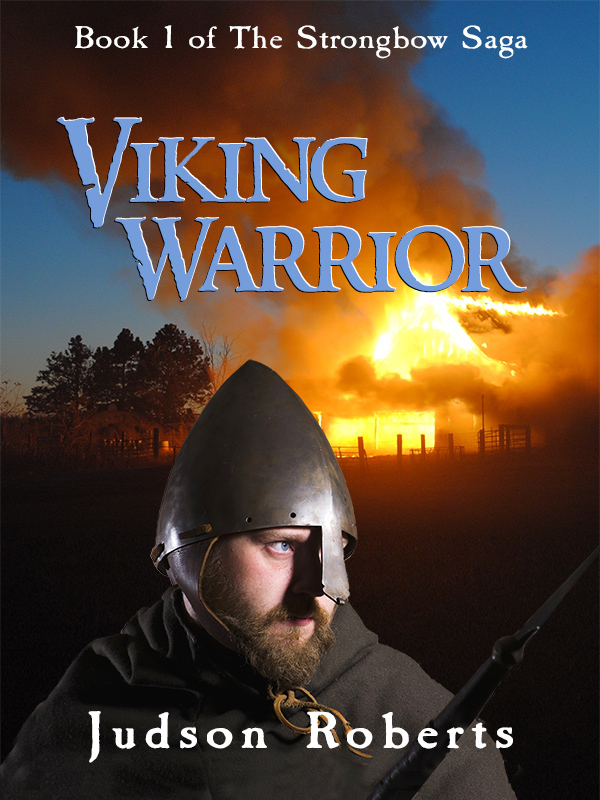 Viking Warrior is the story of Halfdan, the thrall son of a slave and her Viking master. A teenager by our standards, but a man in what was harsher times. Halfdan's rise to freedom is both plausible and tragic, and Roberts' deserves credit for depicting numerous details of the Norse underclass' daily life. Of course, one of the requirements (cliches) of the hero's journey tale is that the hero must be of low origins until his potential greatness is recognized by someone with power to elevate the protagonist's status. So, Halfdan does not long remain a slave, but retains the worldview of one who had been rejected by elite society. Roberts keeps the pace brisk writing with a modern voice rather than the faux-saga style employed by many of the modern authors of Viking fiction. and soon introduces the villain that will bring tragedy to hisnewly fortunate life. The villain is brutal and merciless, but ultimately colorless. For a four book series, new and better written antagonists is a must for one to keep coming back. The Strongbow Saga has potential and I will pickup at least one more volume. The nuanced point of view and interesting origin of the hero overcomes the plot's reliance on heroic cliches.